CHECK OUT THESE KIOSKS AT INDIANAPOLIS INTERNATIONAL AIRPORT. YOU CAN LEARN HOW TO DO "HANDS-ONLY C-P-R" WHILE YOU ARE WAITING FOR YOUR FLIGHT. INDIANAPOLIS — The "Hands-Only" CPR kiosk at Indianapolis International Airport is helping travelers make the most of their down time. The CPR kiosk is located at Terminal A, Gate 8 and Terminal B, Gate 15. The kiosks are touch screens with a short video, available in Spanish and English. "This is the time when people have time. 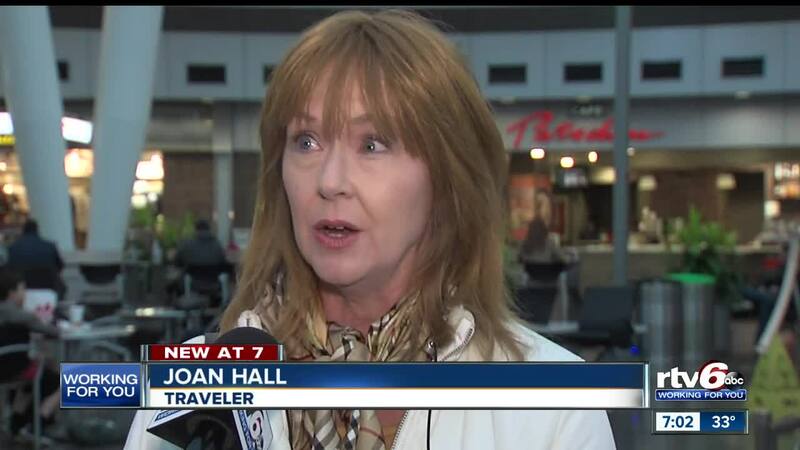 They usually don't so its pretty darn convenient," said traveler, Joan Hall. "This is the best place - probably better than a mall - because there is time. We are sitting here. We have an hour so its something we can do." The video offers a practice session and a 30 second test. Thereafter, the kiosk gives feedback about the depth, rate of compression and proper hand placement. This life-saving skill takes five minutes to learn. If performed immediately, CPR can triple a person's chances of survival.